Being from an artist family, he is a blues and guitar addict from the first day he remembers. Growing up in an atmosphere of black African and American roots music he found blues the most natural way to follow this path in his musical career. All his heroes were fine guitarplayers, Jimi Hendrix, Muddy Waters, Albert King , B.B. King, Clapton & Stevie Ray Vaughan. After meeting and talking about blues and bands with Stevie Ray a long time ago, he eventually started writing his own material and fronting his own three piece bands, Red Shoes, The Bluesscatters, Jean Paul Rena & Terrawheel, Jean Paul Rena and released four cd´s. New album release 16 December 2017. 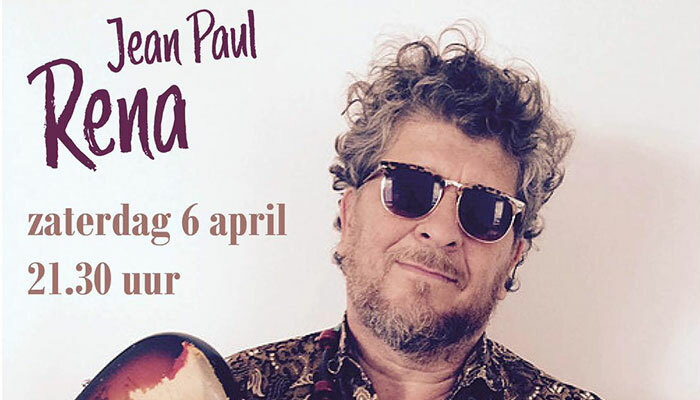 Jean Paul Rena´s music is recognizable as emotional mix of Blues, Roots-Music & Rock & Roll.